International Assignment Management Calculator, User Interface AND Subscription Offering! We have so many new exciting additions to our website with our new design, the question is where to start? Xpatulator.com has been redesigned for your convenience. The new user interface introduces an easier-to-use functional menu structure, and superior usability on mobile devices. and your Reports will be saved into REPORT ARCHIVES when you are logged in. 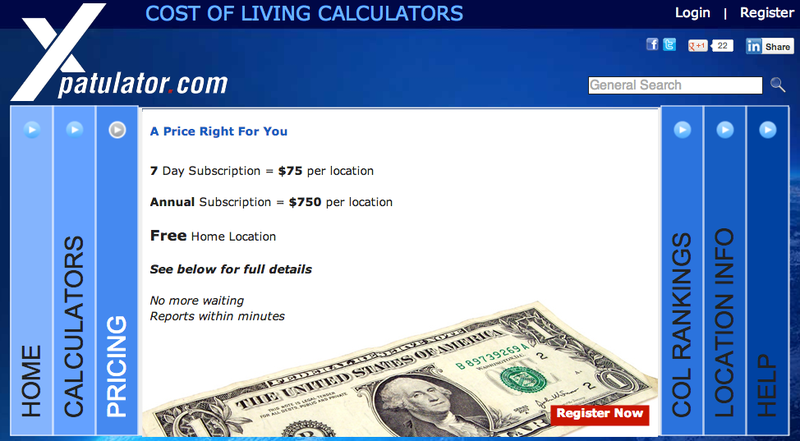 We are introducing a New Calculator! 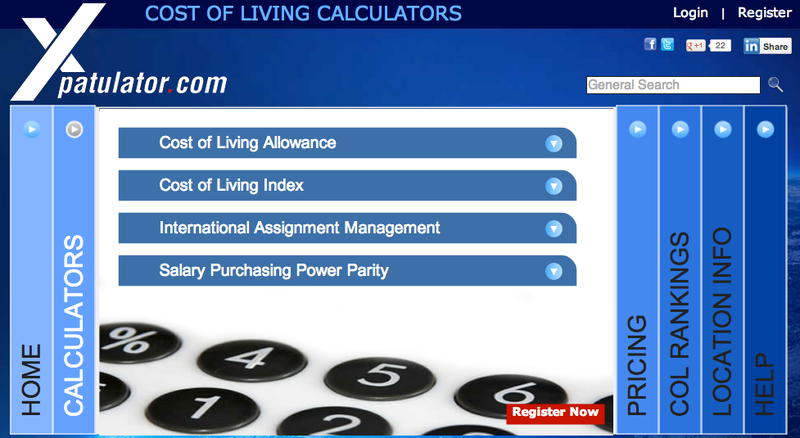 The International Assignment Management Calculator (IAM). The IAM report sets out clear guidelines to make an international assignee/expatriate’s transfer fair and financially viable, taking cognisance of the reward structure and market dynamics of the home and host country. The calculations use the build-up / balance sheet / home based approach and include hypothetical tax, cost of living index, hardship premium, exchange rate, expatriation premium, benchmark housing allowance and benchmark transport allowance. The objective is to ensure consistent equitable treatment and benefits for all expatriate assignees and have a user friendly reward structure to provide seamless coverage for different family scenarios. 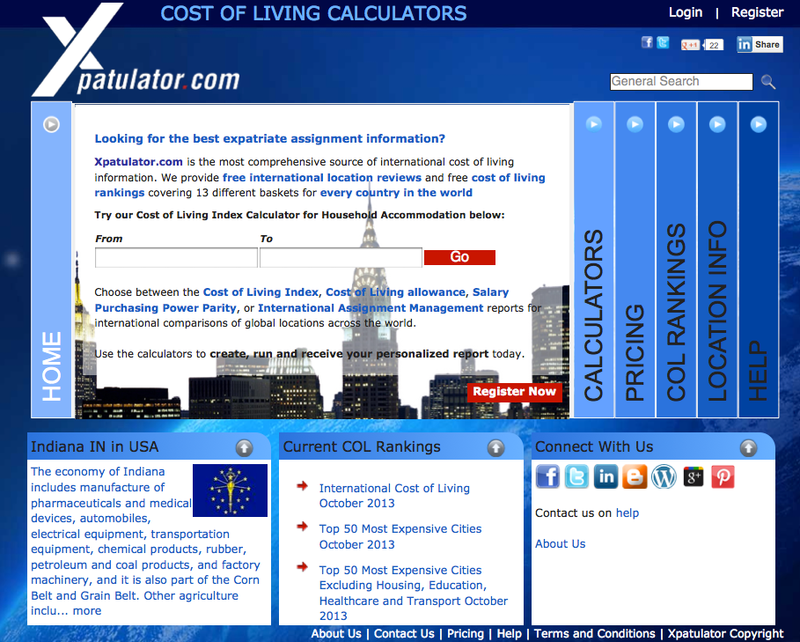 This calculator is recommended for the calculation of the compensation and benefits for a typical expatriate assignment of six months up to five years duration using your choice of home and host location. NEW Seven Day or Annual Subscription giving you a longer time to rerun your reports. The best part of the new interface is the new subscription offering, you can now select to buy locations instead of credits for a period of 7 days at $75 per location or a year at $750 per location. This will allow you to rerun reports as many times as you like for the subscription period you choose. You now get more value, previously you would purchase one credit per report and only run it once, now you can rerun the report as many times as you want for the duration of your subscription. Please preview the new site at http://www.xpatulator.com and send us any feedback to info@xpatulator.com. The new interface will be going live on ????? 2013. Login to your new Xpatulator.com account with your original username and password, to take advantage of the new user interface and IAM calculator. Watch this space for all the new changes. 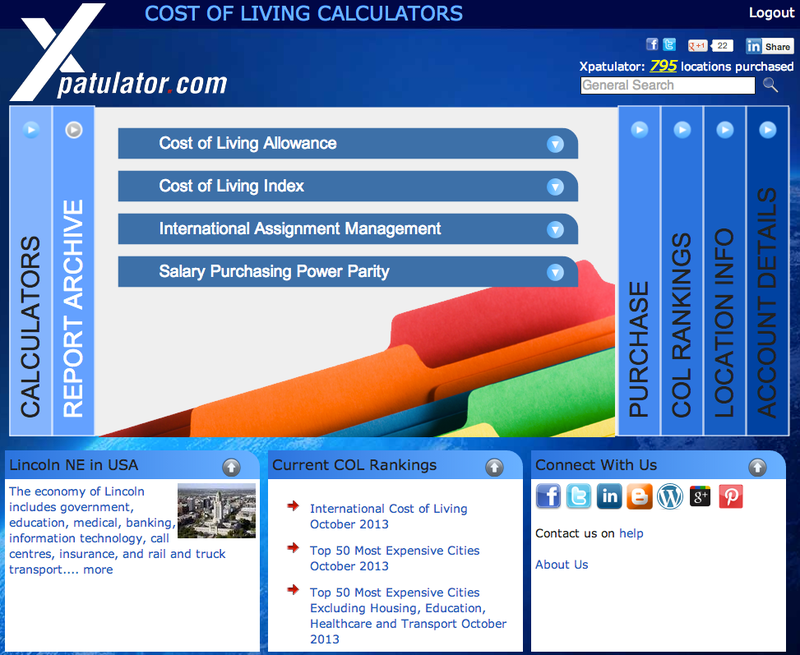 This entry was posted in cost of living, cost of living rankings, Expatriates and tagged calculator, Compensation and benefits, cost of living, expatriate, Xpatulator.com. Bookmark the permalink.